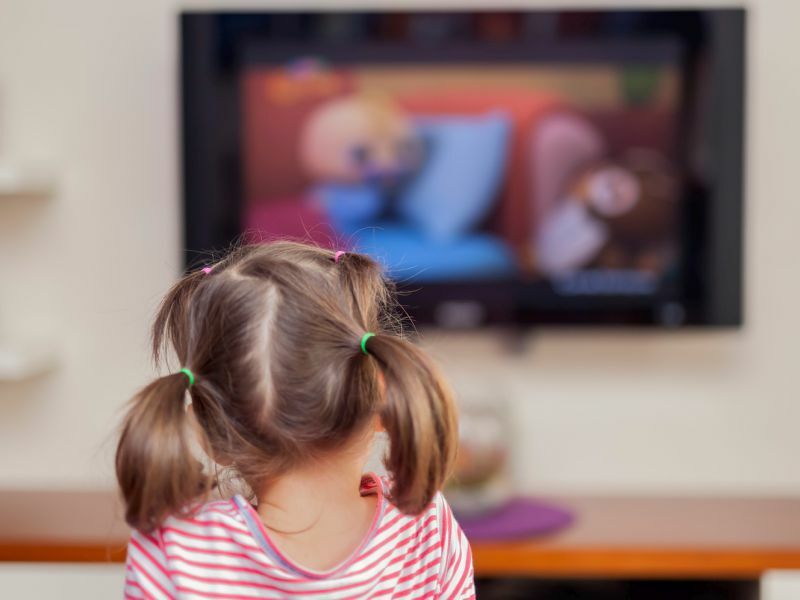 WEDNESDAY, Feb. 20, 2019 -- Between 1997 and 2014, screen time more than doubled for children aged 0 to 2 years, with television time accounting for most screen time, according to a research letter published online Feb. 18 in JAMA Pediatrics. Weiwei Chen, Ph.D., and Jessica L. Adler, Ph.D., from Florida International University in Miami, estimated young children's screen time for 1,327 and 443 children younger than 6 years who completed the time diary in 1997 and 2014, respectively. The researchers found that daily screen time averaged 1.32 and 2.47 hours for children aged 0 to 2 and 3 to 5 years, respectively, in 1997. Screen time allocated to television was highest, with 0.56 and 1.19 hours of television per day, respectively (43 and 48 percent of total screen time). Total screen time was 3.05 hours for children aged 0 to 2 years old by 2014, with 2.62 hours spent on television and 0.37 hours on mobile devices. No significant change was seen in total screen time for older children by 2014, but television time increased about 80 percent (2.14 hours on television and 0.42 hours on mobile devices). Television time accounted for 86 and 78 percent of total screen time for those aged 0 to 2 and 3 to 5 years, respectively, in 2014. "As stakeholders warn against an overreliance on mobile devices, they should be mindful that young children spend most of their screen time watching television," the authors write.